Have you ever set out to simplify a user experience and found that everyone around you was trying to add more complexity and detail? Have you ever found yourself caught between customers who demand simplicity and competitors who out gun you with exciting features? 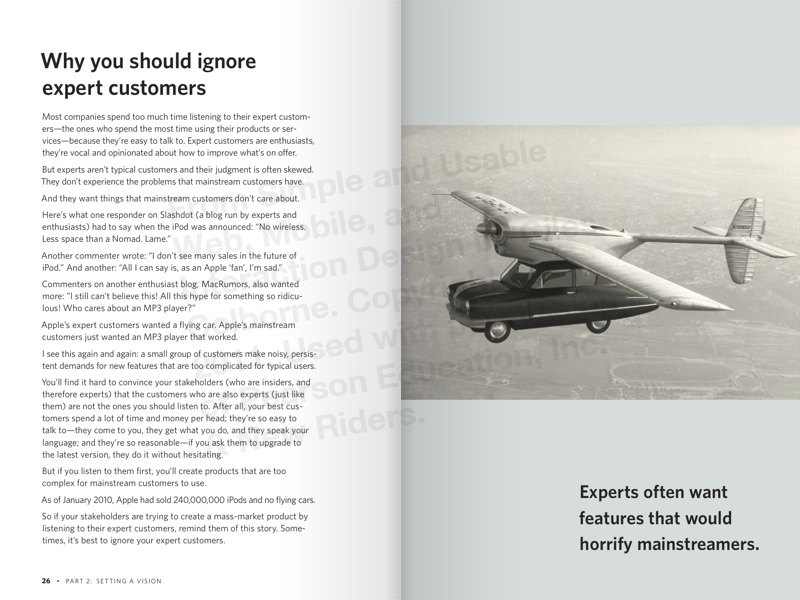 Designing simplicity can be complex. Simple and usable offers examples and stories that break the subject down into tips, strategies and guidelines you can follow to create websites, software or mobile apps which have a compelling simplicity. A great read. Full of tips and techniques. Like “Don’t make me think!” it’s the kind of book you’ll want to pass on to the people you work with. I highly recommend it. 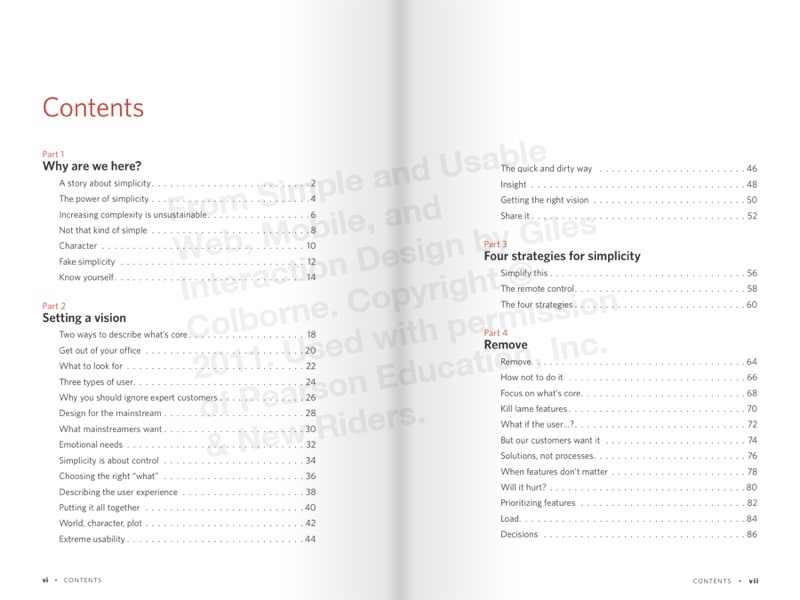 Next time someone says to just “make it simple,” show them a copy of this book. 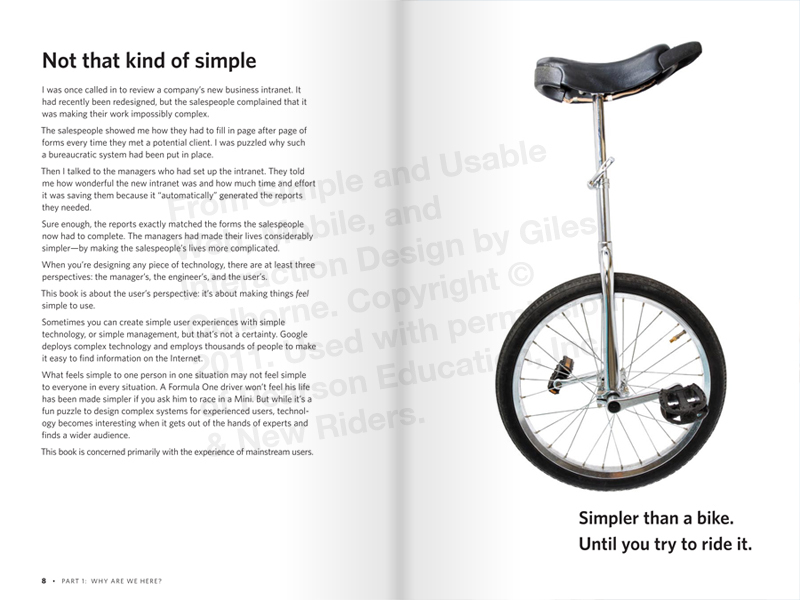 Simple and Usable is a delightful afternoon read full of short, memorable examples that remind us why simple isn’t always easy. 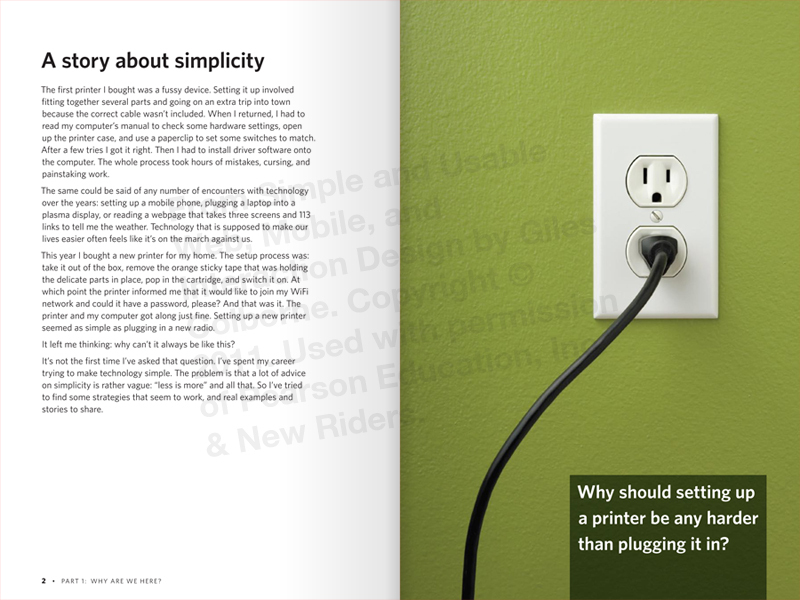 Packed with practical strategies for achieving simplicity—and an enjoyable read. 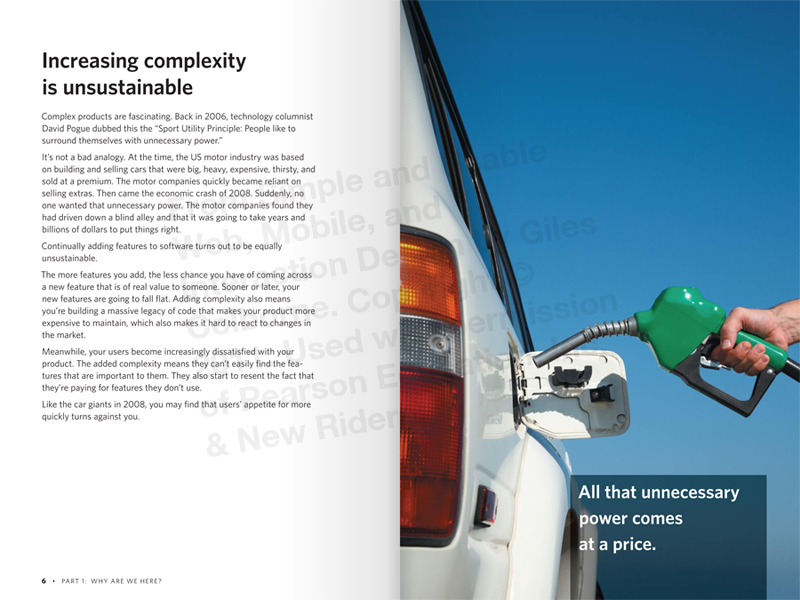 Giles manages to infuse frequent examples into the book’s impressively concise 1-page sections. As an advocate of simplicity, I highly recommend this book to anyone who has a hand in building websites, software, or products. An amazing book. Just buy it, consider it a $20 2-hour brain upgrade. This book is a delight. 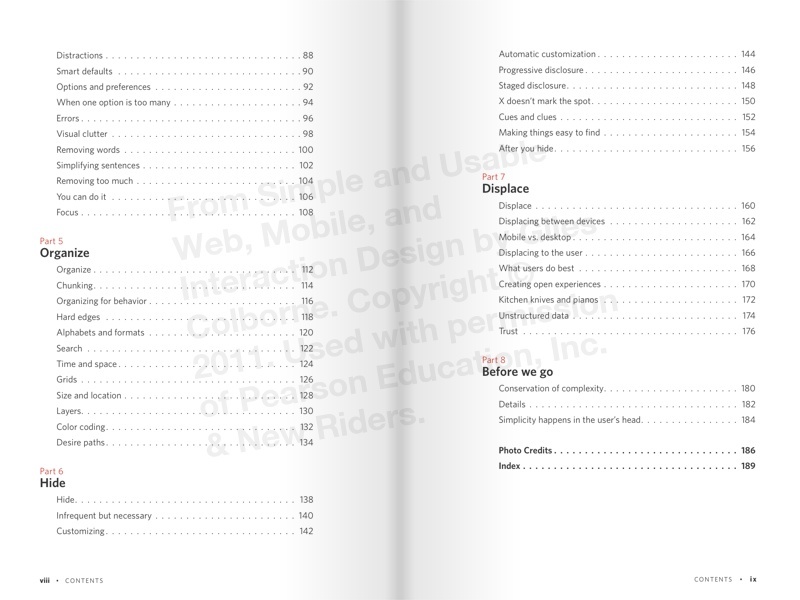 Everything about it is Simple and Usable – the layout, the beautiful illustrations, and the text. This is a book I will return to again to deal with specific questions. 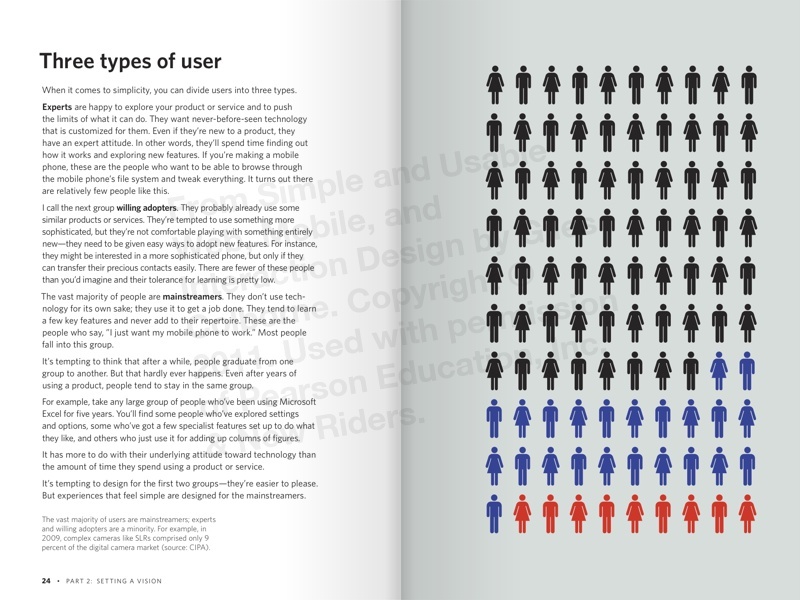 I’d recommend Simple and Usable to anyone involved in physical or digital product design. Giles Colborne has been designing interactive user experiences since the early 1990s and it’s about time he did something useful like writing a book. When he’s not doing that he he’s busy with cxpartners, a design consultancy based in Bristol and London that specialises in web and mobile user interface design for companies such as Marriott, Nokia and eBay. Giles and Richard Caddick founded cxpartners in 2004.